Love is the most beautiful thing we have and your unique story is worth celebrating! I love photographing couples to showcase their best sides, and the real and authentic moments on the wedding day. Life is too short to forget your favorite moments. Let's all say goodbye to awkward family photos and YES to photos that you will cherish for the rest of your life. I started photographing weddings in 2013 and have loved doing it ever since! I love that each couple has their own story and personalities that always show on their wedding day. My style is candid, joyful, adventurous and bright with a hint of mood! Wanna know more? Click the link to read my story! My Story Get to know me! 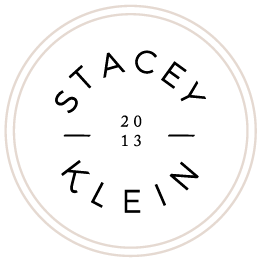 "Stacey is amazing! She photographed our wedding in March and our engagement pictures before that. I have already recommended her twice to friends that are using her for their weddings, and I would absolutely recommend her again and again! Both our engagement photos and wedding photos are priceless keepsakes, and I cannot imagine more beautiful photos. We love them! Stacey did a wonderful job, and she is wonderful to work with! Use her as your wedding photographer, you will not be disappointed!" "Where do I even begin? Stacey is a talented photographer whose professionalism, flexibility, and warmth assured us that the story of our best day would be captured perfectly and it undeniably was. Our beloved, stunning photographs from the small details to the grand reception are evidence of her passion and expertise. We can't thank her and her team enough." "Stacey truly went above and beyond all of our expectations at our wedding in Breckenridge, CO. She communicated well with us beforehand and was seamless in capturing the big day. We will treasure these photos for many years to come! I would highly recommend Stacey for anyone getting engaged, married, or just wanting to capture a growing family!" "Stacey was such a pleasure to be with on our wedding day! She is creative, funny, sweet and so easy to be around. We are looking forward to hiring her again for future events/special moments in our life! We will cherish our photos forever. Thank you!!" Ever have FOMO? Sign up to stay connected with all the latest photos, tips, and inspirations!